Sen. Joni Ernst (R-IA) spoke with Breitbart News regarding a paid family leave bill from Sen. Mike Lee (R-UT) and herself, charging that “We are the party of families,” and there remains an “outcry” from young families for paid family leave. 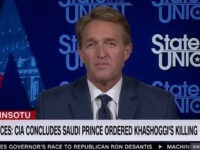 In a stunning blow to the establishment wing of the Republican Party, President Donald Trump ally Kelli Ward–a two-time Senate candidate in Arizona–has pulled off a surprise victory by ousting the chairman of the state party and taking over. Newly elected Arizona Sen. Kyrsten Sinema refused to be sworn in on a Bible, opting instead to place her right hand on a book of laws. 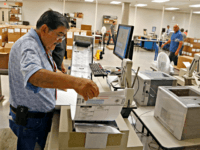 The Maricopa County vote recorder employing controversial vote-counting practices was the defense attorney for an accused Mexican cartel gun straw purchaser. Democrat Kyrsten Sinema retained a tight lead over Republican opponent Martha McSally in Arizona’s midterm election race to replace Jeff Flake in the U.S. Senate as of late Friday. 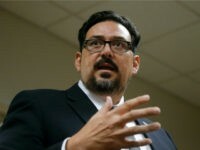 The man in charge of overseeing the recording of ballots in Arizona’s largest county, Maricopa, as ballots are being counted in the very tight Senate race, is facing heat over his very public support of leftist politicians. 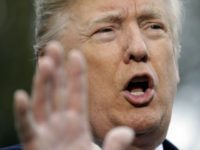 President Trump took to Twitter Friday evening to slam Democrats, specifically those in Arizona and Florida, after vote totals continue to change in favor of Democrat candidates. 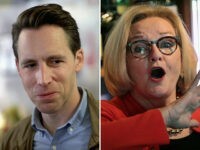 Fox News has projected that Republican nominee Josh Hawley will defeat incumbent Sen. Claire McCaskill (D-MO) to flip Missouri’s U.S. Senate seat from Democrat to GOP control. 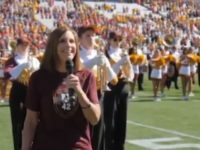 Republican Martha McSally sang the national anthem for Arizona State University’s homecoming football game Saturday night, as she’s locked in a tough run against the Democrat Kyrsten Sinema for the U.S. Senate. 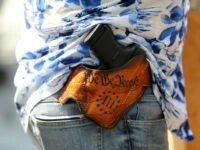 Hawkins: If Gun Control Is So Popular, Why Are Democrats Avoiding It? 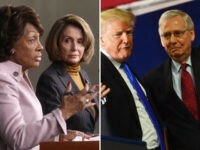 Democrats have spent years telling us Americans want more gun control yet now, four days before midterm elections, there are no candidates for federal office making gun control the central plank of their campaign. 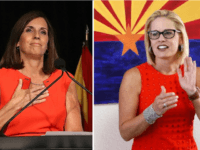 A new poll from OH Predictive Insights and ABC15 Arizona (ABC15/OHPI) shows Republican Martha McSally steadily leading Democrat Kyrsten Sinema in the Arizona United States Senate race. 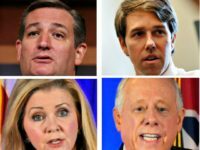 A fresh set of polls out this week and last have Republicans more confident than ever that, while questions over which party will control the House majority after the midterms still loom, they will likely lock up not just control of the Senate majority but a strengthened majority to boot. An undercover video released by Project Veritas shows Democrat Kyrsten Sinema’s campaign manager listing all the gun controls Sinema supports. 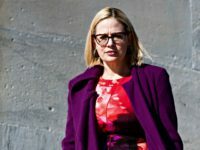 The Arizona State Troopers Association withdrew their endorsement of pro-gun control Senate candidate Kyrsten Sinema (D) this week. Democrat candidate Kyrsten Sinema admitted she would have voted against confirming pro-gun Supreme Court nominee Brett Kavanaugh. 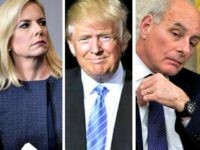 President Donald Trump will hold a Friday evening rally in Mesa, Arizona, as he continues to crisscross the country to boost Republican candidates ahead of the midterms. Trump campaigned in Montana on Thursday evening and will campaign in Nevada on Saturday afternoon. 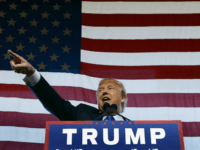 He will headline a Texas rally on Monday evening before heading to Wisconsin. Stay tuned to Breitbart News for live updates. All times eastern. 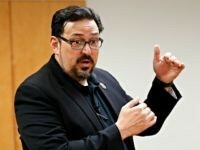 Democrat Kyrsten Sinema’s staff refuse to tell Breitbart News if the Senate candidate still wants to license all gun owners and expand background checks for law-abiding citizens. McSally responded to Sinema’s recently unearthed remarks that it was OK for Americans to go and fight for the Taliban against U.S. troops. “The meth lab of democracy”: that’s what Democrat U.S. Senate hopeful Kyrsten Sinema thinks of Arizona, the state she represents in the U.S. House of Representatives.